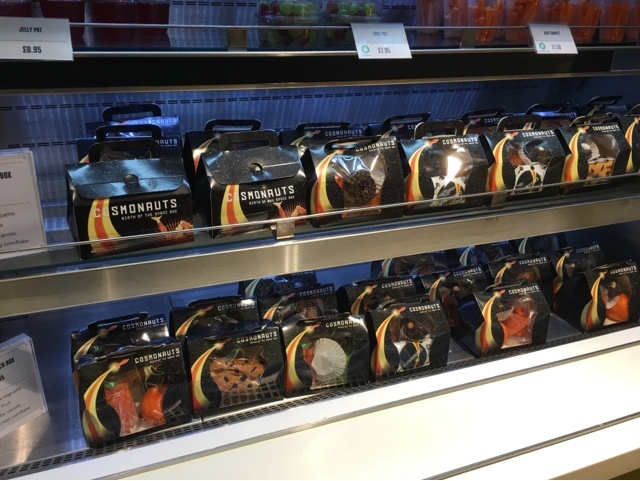 As part of my short and uneventful series of looking at how Christmas snacking is shaping up this year I took a few pictures when I was out this weekend in London. 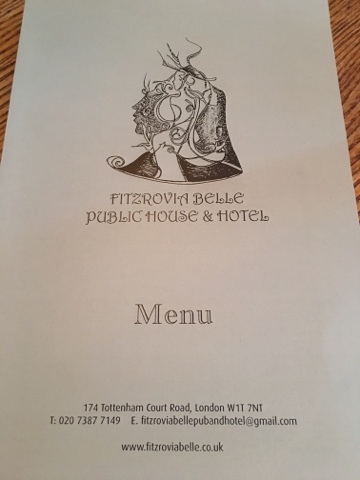 First up we popped into the Fitzrovia Belle House and Hotel for a lunch, and I decided that id go for the hotdog menu. 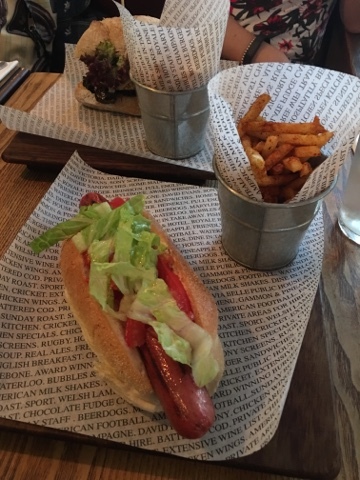 Not Christmassy but a TLM Dog with the spicy chips saw me through the day nicely. 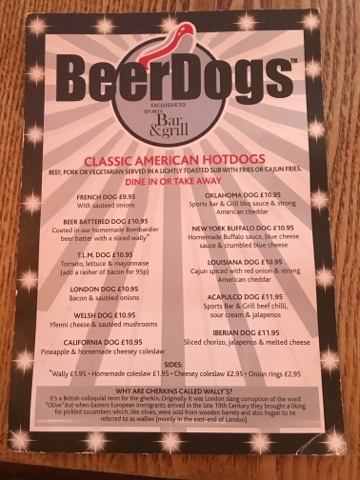 Could have done with the bacon that I asked for, but they didn't charge me so it was all ok. Nicely organised place and geared up for the lunch rush so I'd visit again (near Euston). 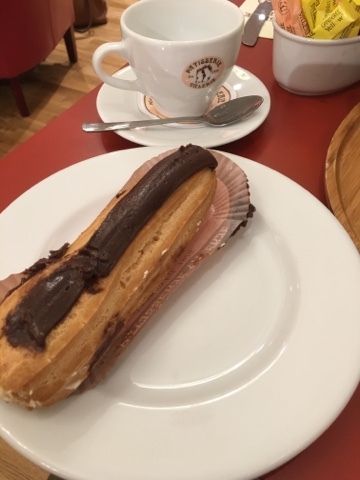 Just time before our show for a visit to the Patiserrie Valeria - a smaller, more expensive chain of shops but one where the cakes and pastries are supreme. 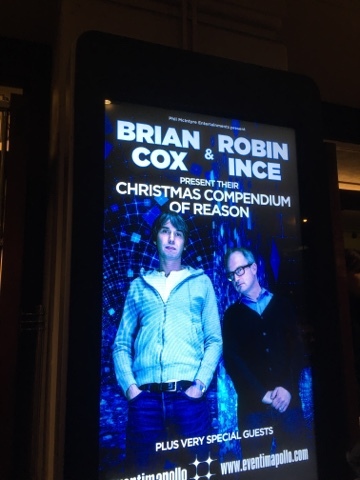 And then off to our show for the evening with Brian & Robin! This officially marks the beginning of Christmas. The following day saw more Christmas shopping and a few museum visits too. 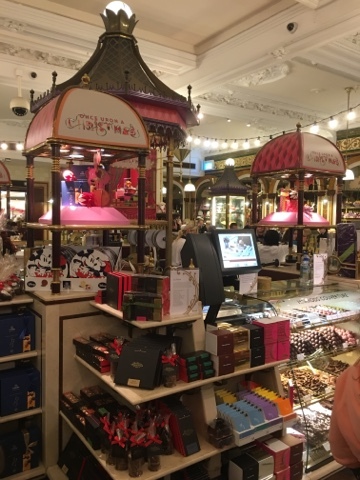 Here we have the Christmas Chocolate selection in Harrods, Knightsbridge. We decided not to as Aldi & Lidl chocolate is more cost effective. 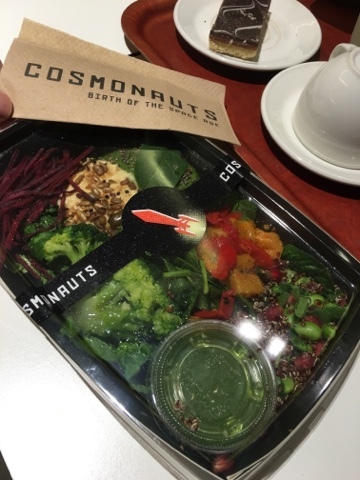 We did however eat in the cosmonaut section of the science museum. I chose a ridiculously healthy salad which was vegan, but had so many flavours and textures going on that I'd happily eat it for lunch every single day. I'm not sure it's Christmassy or Russian but I certainly approved. A good weekend of eating well was enjoyed by all.